In 1978, Martin Sorrell had just started working with the Saatchis, where, as group finance director, he was the architect of the agency acquisitions that would reshape modern advertising. After investing in Wire and Plastic Products in 1985 (the basis for WPP, where he has served as CEO ever since), Sorrell was prescient in identifying changes impacting the industry, whether consolidation, emerging markets or new technologies. In this chat with Adweek, he shares his thoughts about where the industry is headed, what he thinks of Publicis Omnicom Group and his own plans for the future. Adweek: What do you see happening in the next five years in advertising? 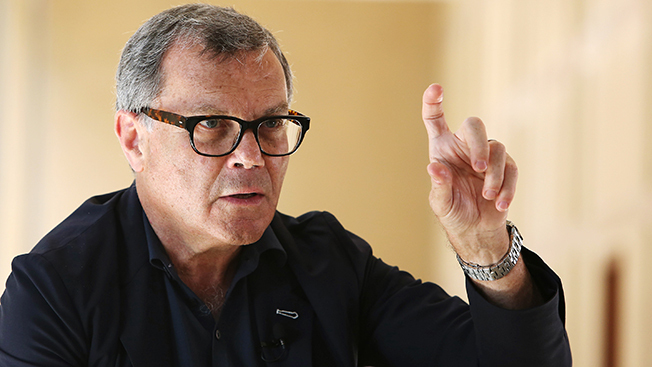 Sorrell: Thirty-five years ago, if I had said POG would exist, WPP would have done what we’ve done, the Dentsu Aegis deal. You would have said, “No way.” So you have to be careful about predictions. You never know what will come out of left field, but what is different now is all these new layers of competition: our direct competitors; others, like Nielsen, Ipsos; companies like Adobe, Salesforce.com; the Google, Facebook, Amazon, Apple group. All the differences will become less and less—we will morph into each others’ territory much more. Bigger companies will have the advantage of size, clout, technology and investment. Smaller companies will have the advantage of more responsive structures, more entrepreneurial, flexible people. Power will move to the big. It will be much more difficult for the small. Do you think companies like Interpublic and Havas will be around as independent entities? No. In five years they will be around, but not as independents. Are you open to the idea of an acquisition that large? At the moment, the answer would be no if you look at valuations and prospects. Over the next five years, you’ll see great differences in valuation terms. Over that time, you’ll see who knows what they’re doing and who doesn’t know. Have you figured out the rationale for the Publicis-Omnicom merger yet? No, I haven’t [laughs]. You can predict the suggested co-CEO management structure [between Maurice Lévy and John Wren] will not survive. There’s a lot of talent on the move. We just took the North American chief creative officer [Lincoln Bjorkman] from Digitas for Wunderman. And what about bigger industry trends? Clients and legacy media owners will consolidate further. Agency offerings will become much more integrated. The sort of things we’ve done with [holding company] teams will become more the norm. We’ll be focused more on math men as well as mad men and more focused on the CIOs as well as the CMOs. Procurement officers and financial officers will become more important. Boundaries between us and competitors, our “frenemies,” will become more porous. If you look at the last five, 10 years, the industry looks remarkably different. We now sit with 35 percent of our business in digital and 30 to 31 percent in fast-growth markets. If you went back 15 years ago, digital didn’t really have any profile, and I think there will still be more disruptive technologies. Has marketing lost its cachet? Does it still have a larger trajectory in the business world? What I hope will happen, but not sure it will, is that there is a resurgence in marketing and a belief that growing the top line is a key to a business’s success rather than focusing on costs. I still think there are bags of potential, but we live in a world where people don’t want to take risks, a world where the average CEO lasts five years and an average CMO in America two years. There are good examples of people prepared to invest, willing to take risks, but they have to unfortunately deal with quarterly performance, non-executive directors, corporate governance, regulators.